How is an embroidered patch created? 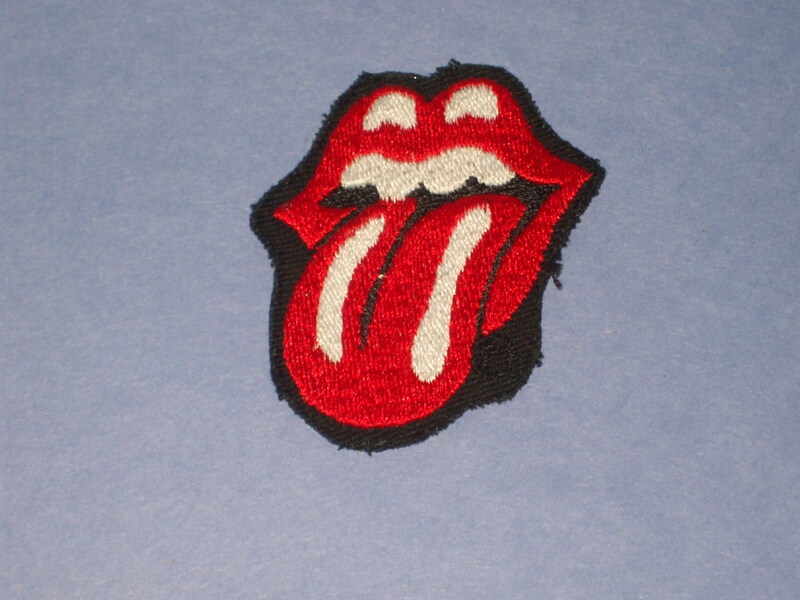 Patch images are digitized and transfered to fabric via computerized sewing machines. It all starts with a need, and an idea. Original artwork is submitted by the buyer and it is modified to meet customer and production requirements – does the patch need to be simple or complex, large or small, standard square/diamond, triangular, rectangular or oval? What’s the background color and how many colors of thread will be used? With advanced computer technology, complex, intricate image designs are easily transferred via embroidery to fabric. Once the design is finalized, it is digitally scanned and the image is feed into computerized stitching machines. These industrial sewing machines have multiple heads and create embroidered art with chain, satin and hemming stitches. Polyester blend threads are more commonly used instead of standard cotton sewing thread. This poly thread retains color better than organic materials, providing vibrant, brighter colors that resist fading and last longer. Hundreds of these identical patch images are machine stitched on the sheets of backing material and edge stitching is applied. Known as a marrowed border, this serge stitching provides a nice clean, finished edge that won’t fray or unravel. Each patch is then die-cut out of the fabric sheet and a thin plastic coating is applied to the back of the patches. The addition of this plastic sheet seals the fabric, preventing any loose threads from unraveling and adds stiffness, preventing the patch from wrinkling or puckering. Complicated, uneven edging that can’t easily be marrowed is instead finished with an embroidered edge and the patches are then robotically cut with a laser. 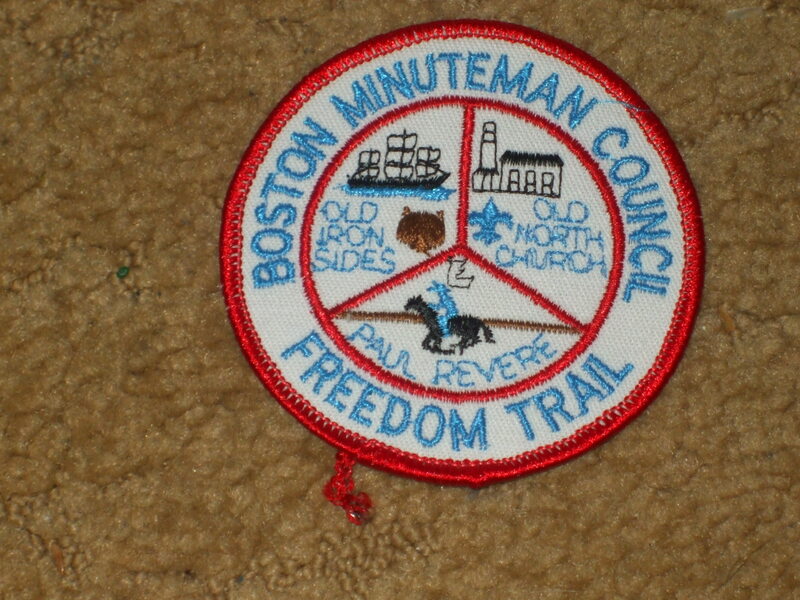 Patches with non-standard shapes are laser cut to size. Intricate, complicated borderes are not a problem for computer controlled laser edging technology. The generally recognized oldest shoulder sleeve insignia (SSI) in the U.S. military is the Wildcat of the 81st Infantry Division. 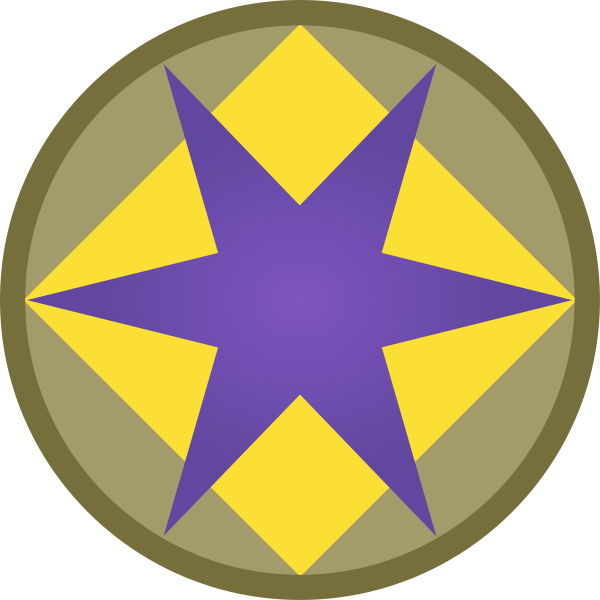 Based at Camp Jackson near Columbia, South Carolina, the division consisted primarily of men drafted from North and South Carolina and Florida and was originally known as the Stonewall Division after Confederate General T.J. Stonewall Jackson, it was later renamed Wildcat after a creek that ran through the camp. Their distinctive shoulder sleeve insignia was the first worn by members of the American Expeditionary Force (AEF) heading to France in World War One. 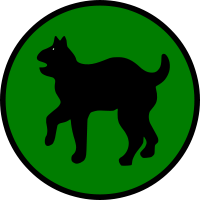 Other soldiers saw the wildcat patch and complained of the soldiers’ right to wear the unofficial patch, but US commander Gen John J. Pershing liked the idea and in 1918 he suggested other divisions adopt their own shoulder patch designs. Many distinctive unit patterns emerged, each with its own symbolic significance. For example, one of the most easily recognized is the First Cavalry Division, proudly known as the Black Horse Division, which is now a mechanized force. 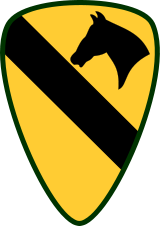 The SSI employs a distinctive Norman shield design with a yellow background, the traditional cavalry color, and a black horse head silhouette denote the unit’s origin as a mounted fighting force. A diagonal upper left-lower right black stripe (\), known in heraldry as a sable bend, represents a baldric, the standard Army-issue belt worn over the right shoulder down to the left hip (often referred to as a Sam Browne belt), supporting a scabbard with the trooper’s saber (sword) or a revolver holster. When 1st Cav was deployed as part of Operation Iraqi Freedom II in July 2004, a new mirror-image shoulder patch with reversed head and stripe was issued, to be worn on the right sleeve (SSI are usually worn on the left sleeve). When the official status of this patch was questioned, the maverick design became valuable to collectors. Other rare collectable patches include those for phantom units, outfits created on paper for deceptive military operations designed to mislead the enemy. Among the most famous are units from Operation Wadham, a D-Day feint tricking the Germans that units under the command of Gen. George Patton would be leading an invasion of northern Europe, landing at Brest, France. Patches created for the fictional 11th Infantry and 48th Infantry Divisions of the fabricated Fourteenth US Army are highly prized by collectors.